«That is all, we are finishing this season», said camp organizer Irina Orlova on 25th April. «The whole crew has returned to Longyearbyen, and will proceed to Murmansk», she added in a social media post. «This year’s season was short, but we still managed to do everything as planned,» Orlova says on her Facebook page. 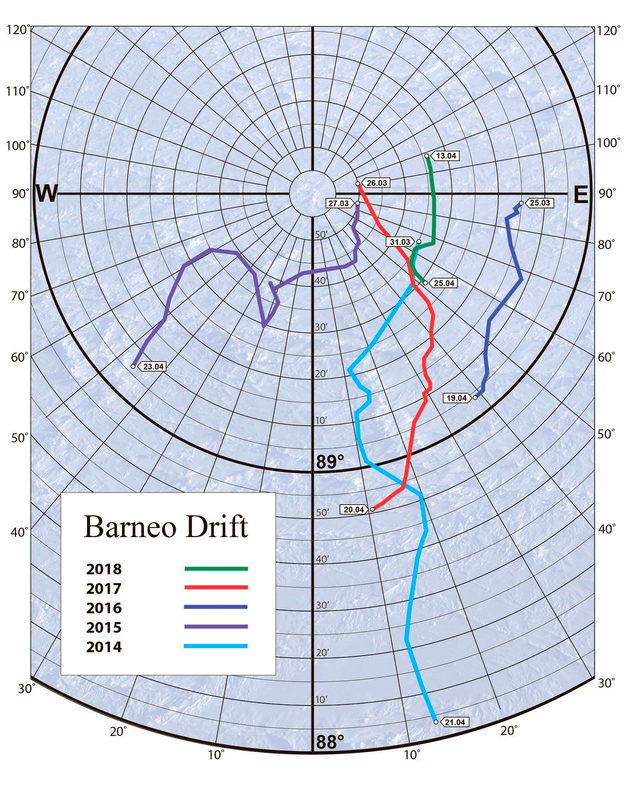 During the short life of Barneo 2018, the ice base served as starting point for the North Pole Marathon, various research activities and two groups with tourists. Several groups used the camp for their North Pole expeditions, among them the 19 students from Moscow who took part in an expedition organized by explorer Matvey Shparo, and the Young Explorers NORTH Expedition. Traditionally, the Barneo camps come in addition to the state-sponsored North Pole bases, organized by the Russia and the Soviet Union since 1937. However, during the last couple of years, it has become more and more difficult to find ice floes solid enough to hold a station, and the last “real” ice station, “North Pole-40”, was established in October 2012, and had to be evacuated in May 2013, because the ice floe the base was placed on, started to break apart.